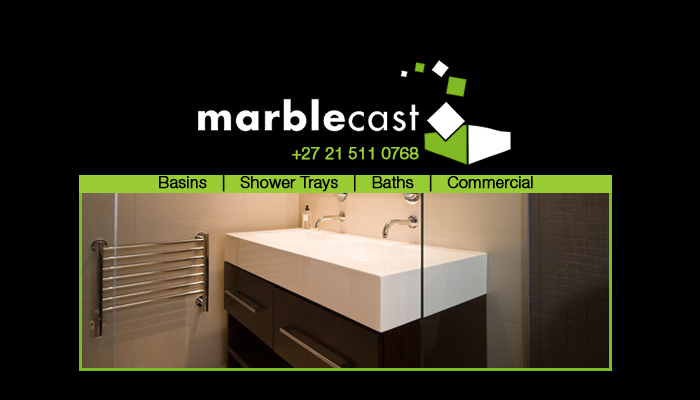 Marblecast was established in 1979 by Adolfo di Giovanni, and we have since become one of the most well-respected bathroom ware manufacturers and suppliers. 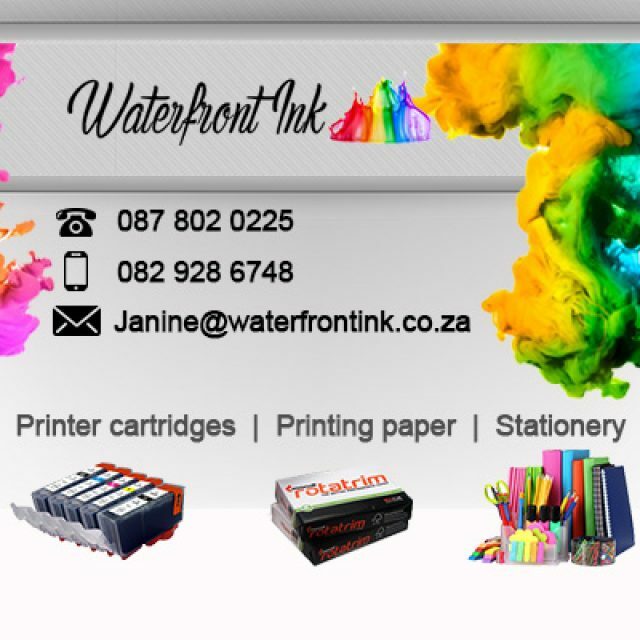 Our storeroom is located in Cape Town, but we offer delivery service on all of our products throughout South Africa. 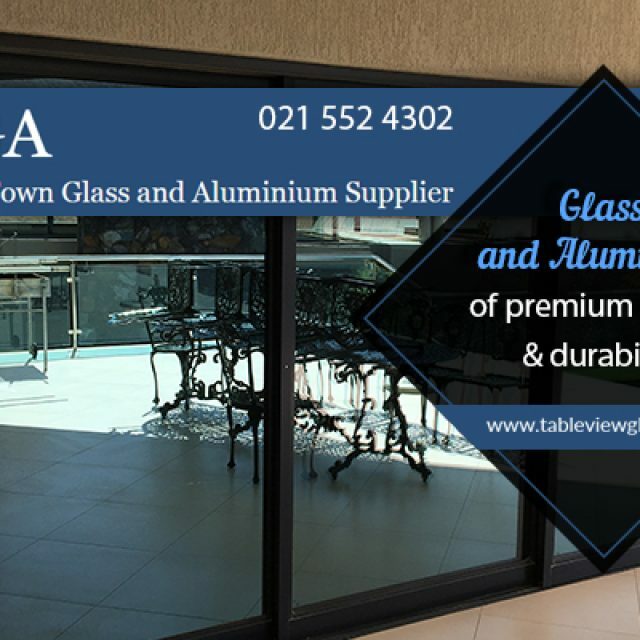 We cater for both commercial and residential applications, and have supplied our high quality products to various shopping centres, offices and even airports around the country. The products on offer at our Marblecast store are made from extra-strong, durable cultured marble, which gives our products more longevity than other brands. Cultured marble is made from a mixture containing 20% resin and 80% marble, which creates an uber-hard material that can be easily molded into various shapes. Because we make use of this ingenious material, we are able to provide clients with bathroom are suited specifically to their interior requirements and design needs. The resin coating on our products makes them water and mildew resistant, which ensures that bathtubs and basins are always shiny and new without any unpleasant stains. 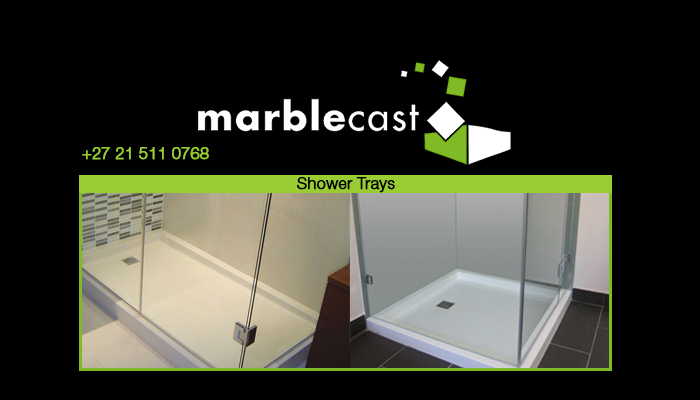 The staff at Marblecast are professionally trained in all aspects of bathroom ware, and are able to offer friendly, helpful advice to clients regarding which products will best suit their needs. 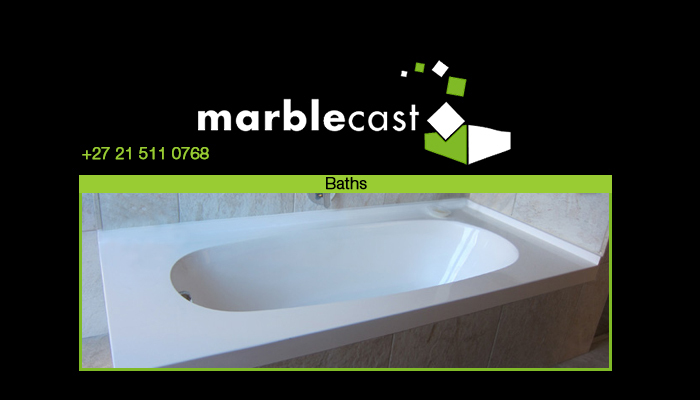 At Marblecast, you can find our full range of bathroom ware. 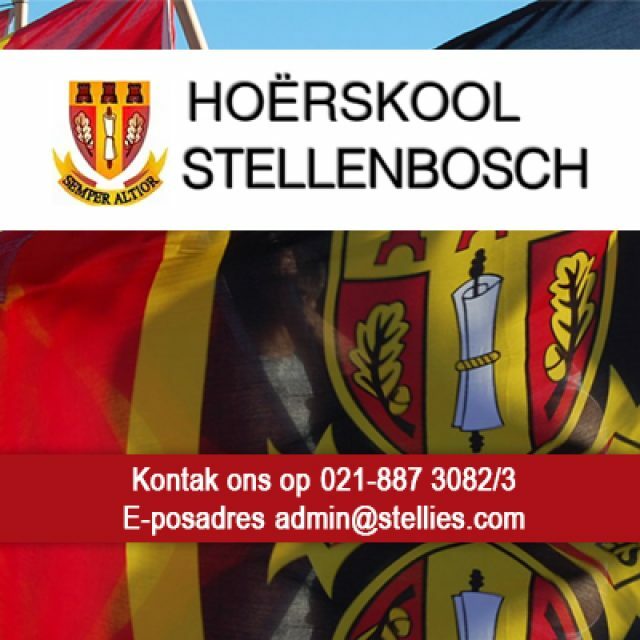 All of our beautiful products and installation services comply with South Africa’s plumbing regulations, so you can rest assured that using our services will result in a professionally fitted, fully functioning, stunning bathroom! Basins: Our wide range of basins offer options that will suit any personal style or bathroom theme. The basins can also be ordered with a conveniently attached cabinet for extra space. Baths: We offer a variety of luxuriously finished baths in different sizes, shapes and colours. You are sure to find the perfect bath to suit your preferences. Shower-Trays: The showers trays we stock come in both classic and modern variants, ensuring you will find one to match your bathroom’s interior. 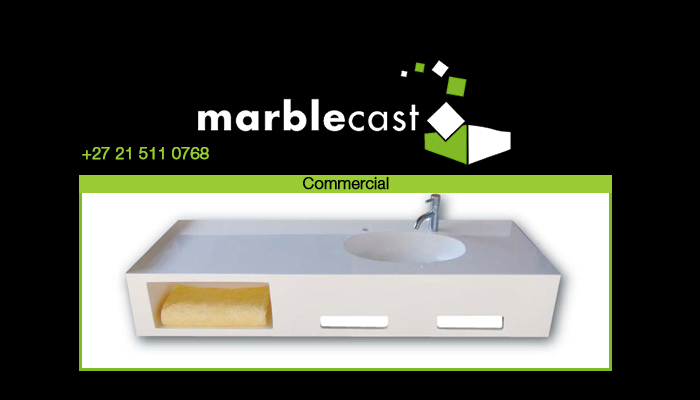 Commercial: Marblecast offers an extensive variety of commercial products, which are suited to fit into any large-scale commercial or business bathroom. 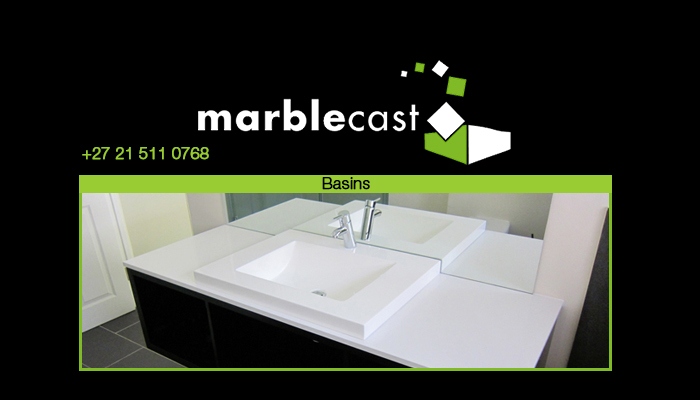 Marblecast is the number one supplier of durable, beautiful bathroom ware, so contact us today for all your bathroom needs! 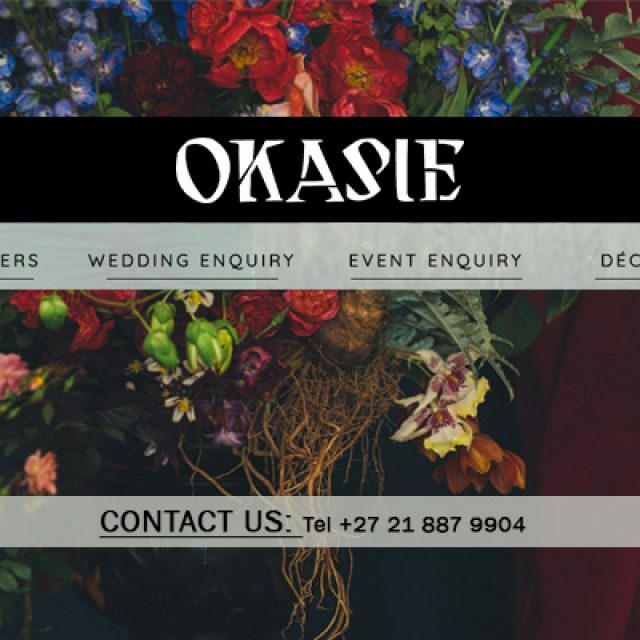 A wide selection of products and services.